AnswerCast is an easy to use app that enhances question and answer board games by letting you play games with friends and family using your TV. 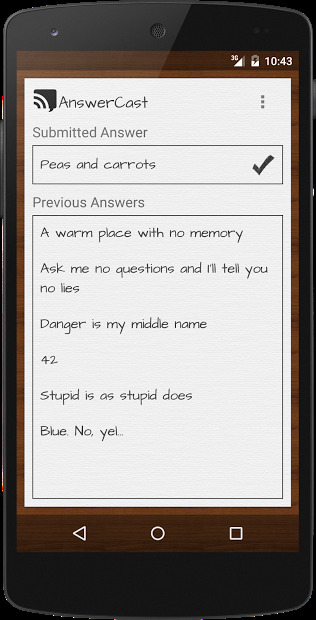 Instead of writing down answers on paper, everyone submits their answers using a smart phone or tablet. 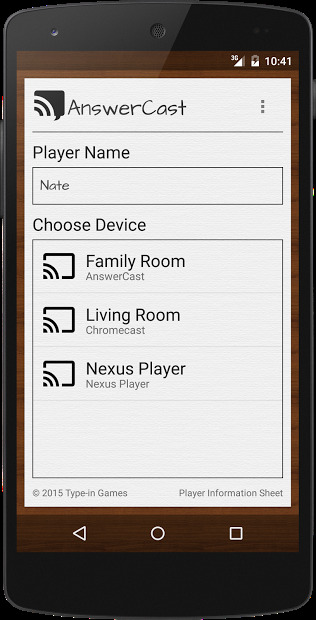 Then the answers are revealed on screen using a Google Cast device like Chromecast. It’s the perfect companion for games such as “The Game of Things” or “Loaded Questions” and many others.